When your garage door stops working, you may feel a variety of emotions: worry, frustration, anger — the list goes on. Either way, when your garage door is broken or not working properly, you need to contact a garage door repair company to get the door back up and running properly. Whatever the problem may be, from an off-track garage door, a loud garage door opener, or a damaged garage door sensor, you’ll want to call a reliable, experienced, and professional garage door contractor. If you live in Mooresville and find yourself with a broken garage door, don’t just call any contractor, contact the team at Garage Door Doctor. Known as one of the best garage door companies in Morgan County and the surrounding areas, there isn’t a problem we cannot fix. We understand how much frustration a broken garage door can be, which is why we offer both same-day garage door services and emergency garage door repairs. Additionally, we have some of the most affordable garage door services around — we refuse to be beaten by our competitors. When you are stuck with a faulty garage door in Mooresville, contact the team at Garage Door Doctor. You can rest assured that our team will be able to fix whatever the problem may be. Our team has serviced various makes and models of garage doors and openers. Our experienced garage door contractors can offer a solution through the following services. Many homeowners that have attached garages use their garage door as the main entry and exit point, so it’s no wondering why it can be frustrating when you come across a problem. With constant, everyday use, it is common for your garage door or garage door opener to experience some wear and tear that leads to malfunctions or damage. Whatever is causing your garage door system to stop working, our garage door experts can find a solution. We also can find underlying issues with a detailed garage door inspection. Whether you are building a new home or adding a garage as a renovation project, Garage Door Doctor can offer garage door opener and garage door installation. We only install quality doors and openers from the leading manufacturers in the industry. Garage door maintenance is one of the best possible ways to prevent your garage door system from breaking down. Don’t risk DIY garage door maintenance, let one of our experienced garage door technicians help provide you with the residential garage door maintenance services required to ensure your garage door system is in good, working condition. Broken garage door springs are one of the most common damages that homeowners contact us to repair. Because these springs help hold up the weight of a garage door, there is a lot of tension put on them. When unloaded improperly, they can cause grievous damage to your vehicle or other belongings stored inside your garage. Unless you’re a trained professional, you should never attempt DIY spring replacement. 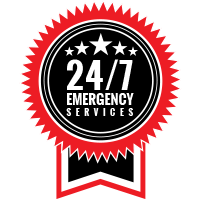 Even when your garage door breaks down at night, during the weekend, or on a holiday, you can rest assured that Garage Door Doctor will be able to fix the issue with emergency garage door services. 365 days of the year, our garage door technicians are always on call and ready to go. So, if a malfunctioning garage door is causing problems, simply give us a call and our team will quickly help you find a solution. Many companies rely on Garage Door Doctor for commercial garage door services. Our technicians have experience working with all types of commercial garage doors. When your commercial garage door system is broken, our garage door experts can arrive on-site to take a look. We even can install commercial doors and openers from some of the leading manufacturers! 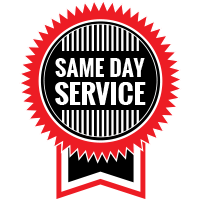 Do not let a faulty garage door system ruin your day or week, get your problems taken care of quickly by calling Garage Door Doctor for an estimate and same-day service and discover why we are the leading garage door company in Indianapolis and the surrounding metro areas.